TheThe Ministry of Defence have announced that they intend to decommission RAF Scampton in 3 years time. 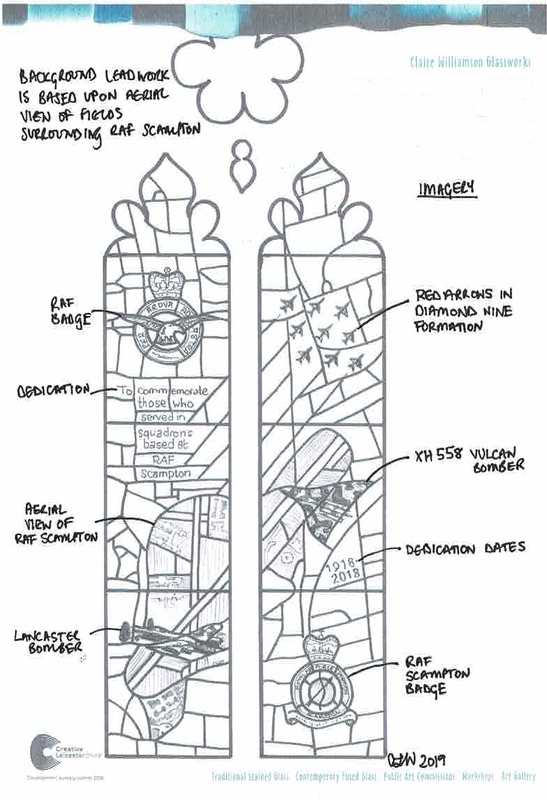 A suggestion has been put forward at Scampton Church that a stained glass window might be commissioned to mark 100 years relationship between RAF Scampton and Scampton Church (1918 – 2018) and thereby also create a lasting memory to all who served in squadrons at the base, both in peacetime, during the two world wars and the cold war. The following organisations have agreed to be non funding community partners, in the planning and execution of the project. 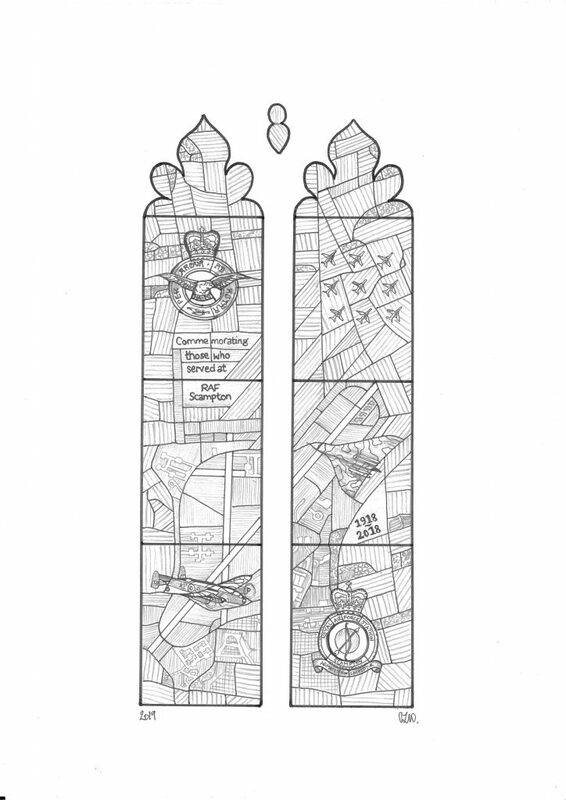 ; RAF Scampton, Scampton Primary School, Pollyplatt Primary School at RAF Scampton, and The Dambusters Inn, Scamtpon. Twenty two squadrons have been based at RAF Scampton since its inception and 15 of those have squadron associations. Combine this with the 65,000 members of the Royal Air Forces Association worldwide, and the thousands of followers of the Red Arrows, then it is hoped that a carefully designed crowd funding campaign would stand a good chance of success, in securing the funds needed. 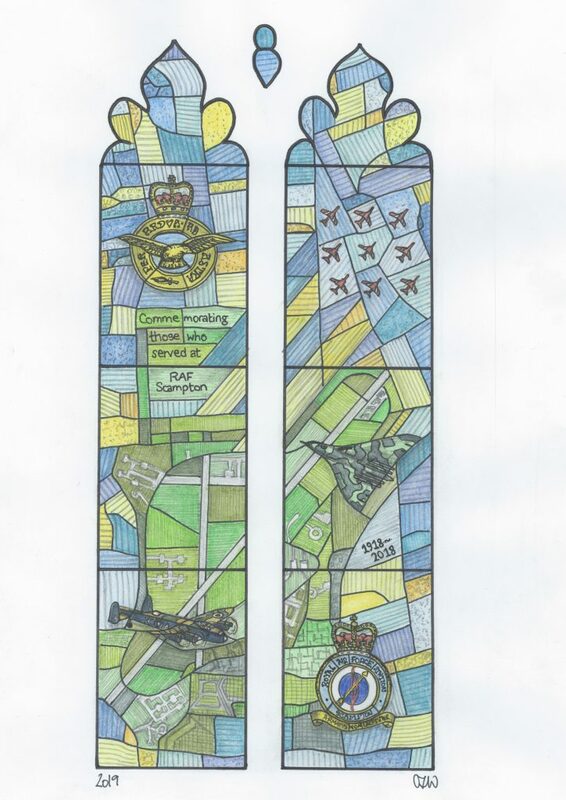 Also included in the design are a representation of an Avro Lancaster (which flew with 83 squadron from RAF Scampton), the 'Vulcan to the Sky' Avro Vulcan (which flew with 27 squadron from RAF Scampton) and the Red Arrows 'Hawk Jets' Team (currently based at RAF Scampton). RAF Scampton, The Royal Air Forces Association, The Red Arrows, Red Arrows Association, Vulcan to the Sky, Battle of Britain Memorial Flight, The RAF museum, and the International Bomber Command Centre have offered to support this project on their social media platforms. 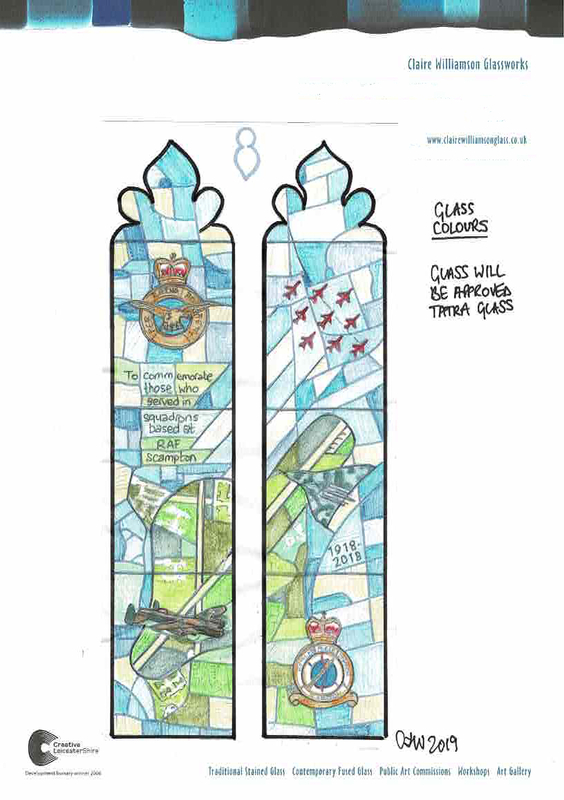 Following the feedback we received on the conceptual design of the window (see below) from the station commander at RAF Scampton, the Diocese and Historic England stained glass window advisor and other interested parties some amendments have been made and the final design decided upon. A sketch of the final design is shown below. We are now liaising with Lincoln University Media Studies Department about the crowd funding campaign to finance the window. 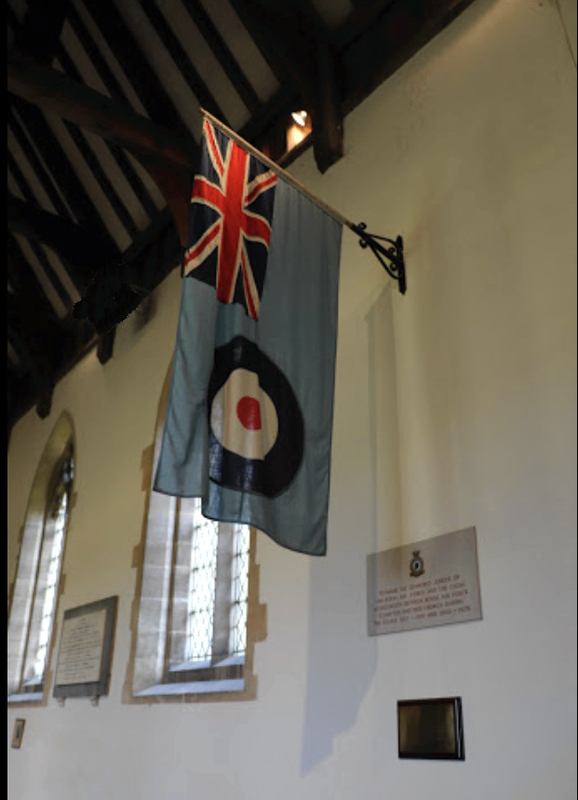 The media campaign is to be fronted by a professionally made three minute video which sets out the rationale behind the window and makes links to the history of the relationship between Scampton Church, the RAF Commonwealth War graves and RAF Scampton. The video will be made by Lincoln University Media Studies (New Media Links Showreel) and launched on social media worldwide to head up the crowd funding campaign.